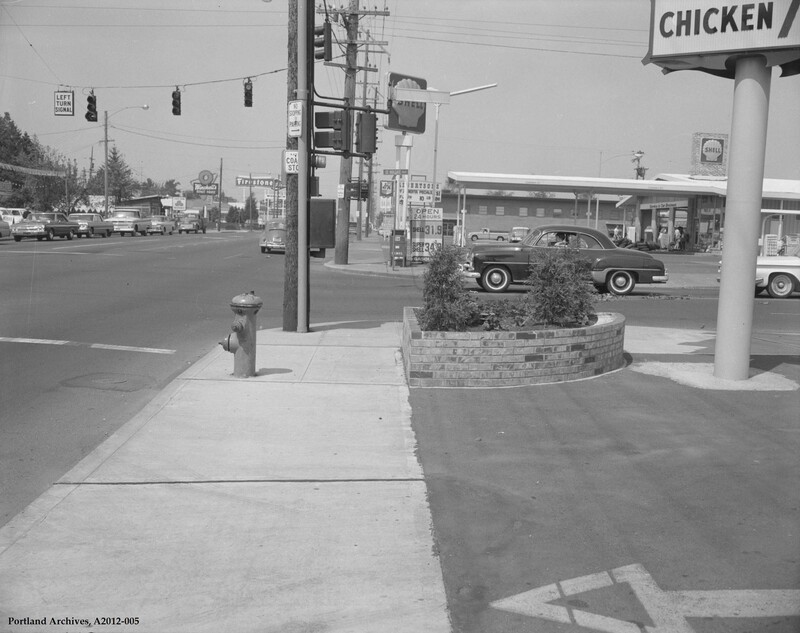 SE 82nd Avenue and SE Holgate Boulevard, 1966. 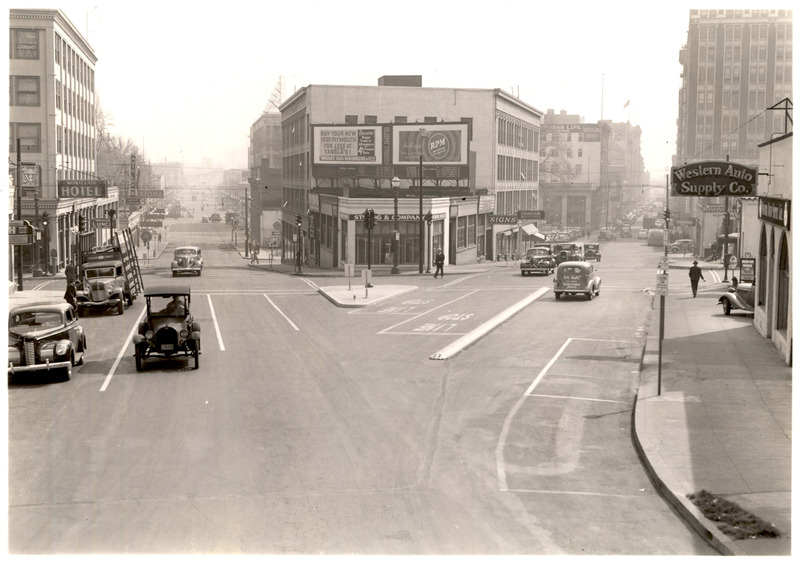 There are many classic signs to be savored in this 1939 photo of a popular Portland intersection; the Wentworth & Irwin logo at far left is a beauty. 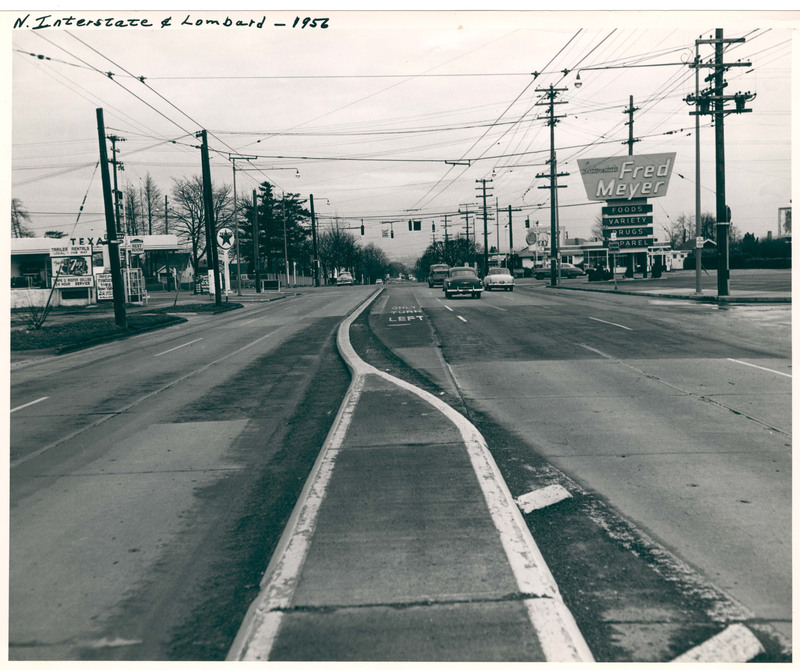 The view is east on W Burnside and 10th Avenue, with SW Oak angling off to the right. I believe you can see one of the surviving “Great Light Way” arches down Oak at 3rd Street. 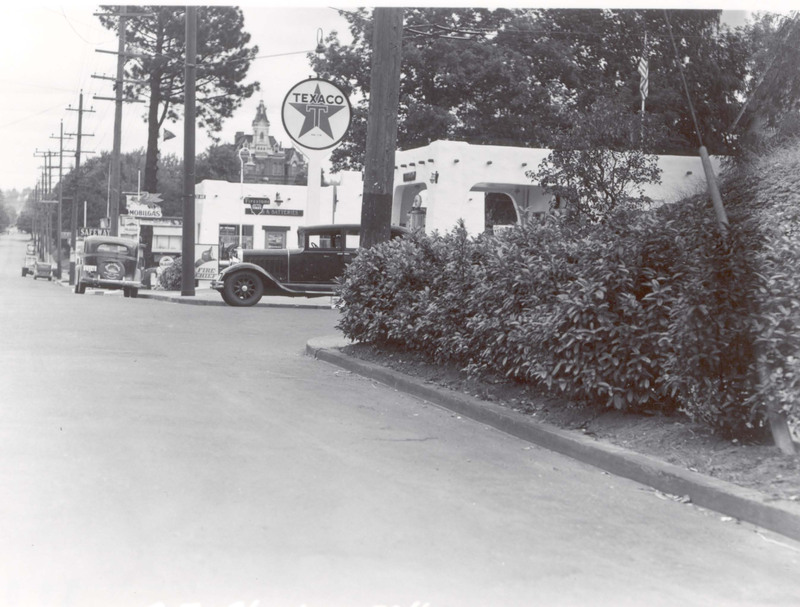 Incredibly, both the Texaco and the Firestone buildings still stand on the southeast corner of SE Stark & 28th, although one is now a coffee shop, the other a quickie mart. The large building looming in the distance is the Sisters of Mercy Home for the Aged, now Laurelhurst Village.